SIZES: Small suits for US size 5.5-6.5, Medium suits for US size 6.5-7.5; Large suits for US size 8-9.5, Xlarge suits for US size 9-10.5. 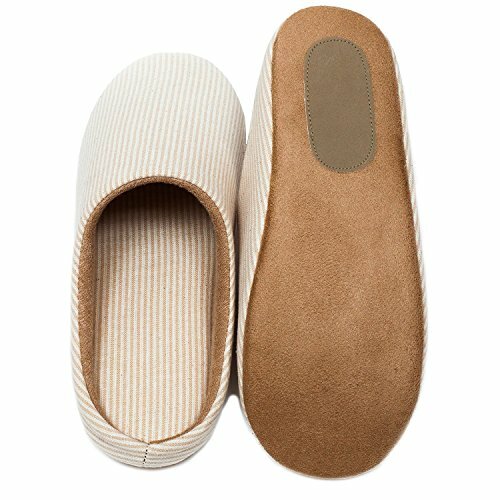 If your size is between two, it depends on a flexible or tight feeling you would prefer. 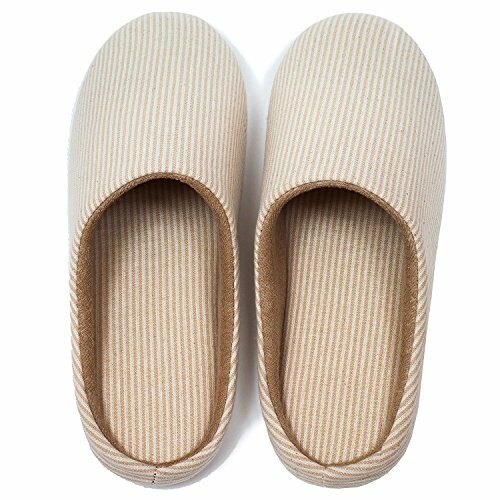 MORE COMFORTABLE: Organic pure cotton and polyester uppers provides most cosy touching, more soft and breathable. No smelly or sweaty problems. 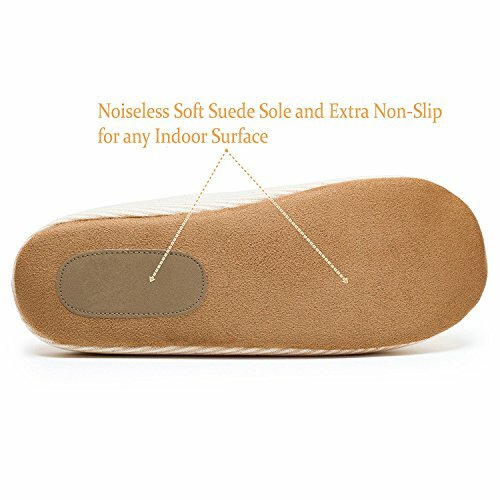 SURE-GRIP SILENT SOLES: Softly brushed soles give you safe, secure footing on any indoor surface. No more worries of slipping or sliding. 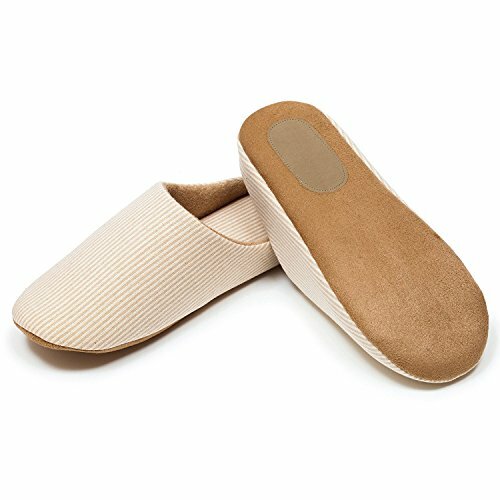 Special sueded patch for added traction & noiseless tread. 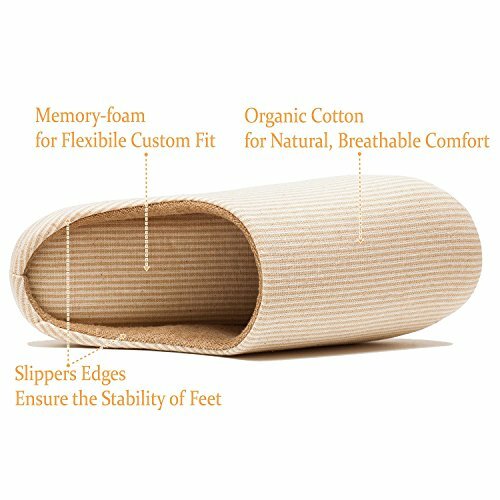 SOFT PADDING SOLES: Supportive Memory-foam padding, each supple slipper molds to the shape of your foot. 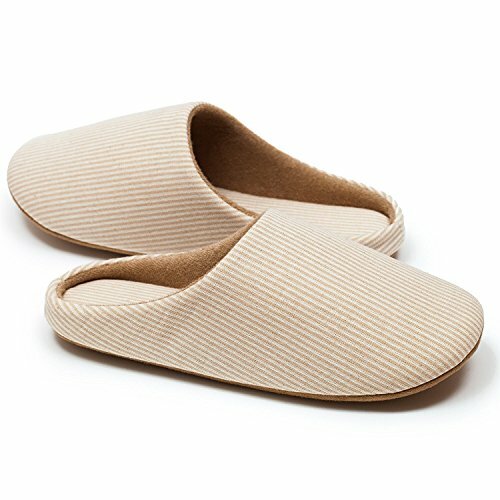 Just like it's your customized slippers.